Granny never had it this good! When crazy property prices squeezed their kids out of the property market, parents expanded their search for ways to help. Maybe the kids didn’t need to go far to move out of home and get their own start in life. At the same time, smart investors started extending the value of properties they already owned. Two friends from Newcastle saw the potential to solve the problem by exploding a tired idea and replacing it with a range of options that would have parents and smart investors asking how soon they could have one. Trent Robinson and Tim Sullivan combined their years of building and construction experience into a company they called Backspace Living. They saw a wide open market to build granny flats that would make their customers’ friends say why didn’t we think of that. Backspace Living’s first job was to challenge their architects to design the most contemporary, expansive living space possible within the legal definition of a granny flat. The brief was to create spaces that were the smart choice, not the last resort. From the first design, the feedback was incredible. 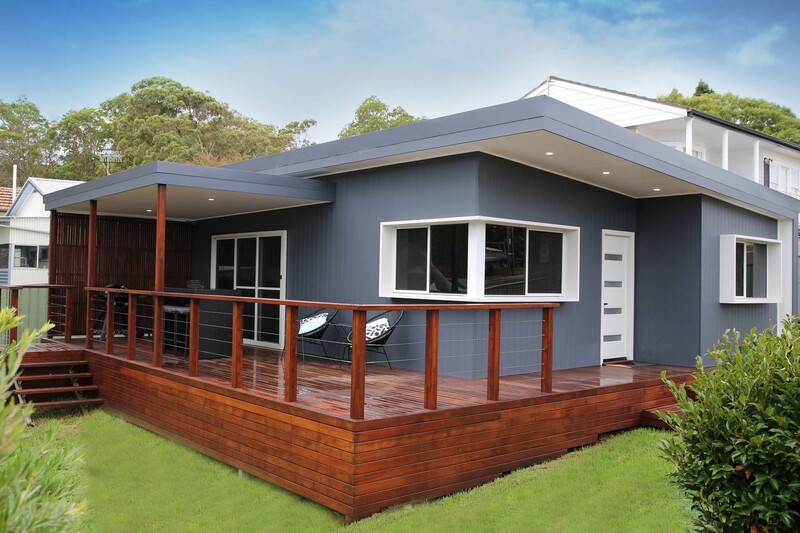 “This can’t be a granny flat,” people would tell Backspace owners. They wanted to know how all this space could be a “granny flat” and not even need a DA. Investors reported a queue of applications from new tenants, and up to $450 a week in extra rent from their Backspaces. Soon Backspace Living was featured in The Newcastle Herald, and not long after, the company walked away from a Housing Industry Association (HIA) awards night with the gong for Outdoor Project of the Year. Design followed design as word spread and customers talked to us about what they needed. Today, we break ground on at least one new Backspace every week, handing over the keys to their excited owners just 12 weeks later. Those happy Backspacers can be found all over Newcastle and in Sydney, the Central Coast and along the North Coast. Come down to our show flat and see for yourself how easy it is to make room for a Backspace. You won’t get to meet our sales team because we don’t have one, but our on-site builder will be there to answer all your questions.